Taste the Best Pizza Las Vegas Has to Offer! Whether you’re a local or tourist, pizza cravings can strike at any time. Where is the best pizza in Las Vegas? Head downtown and grab a slice from Pop Up Pizza! 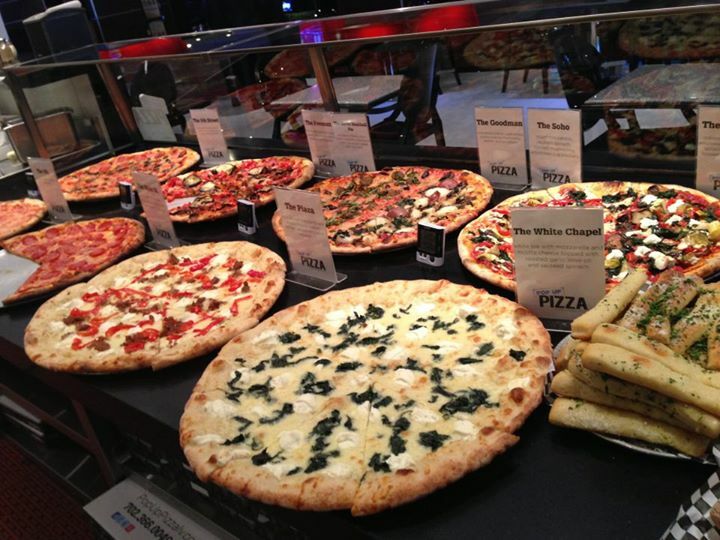 Our downtown style pizza in Las Vegas can’t be beat! What Makes Us the Best Pizza in Las Vegas? We are located in downtown Las Vegas, the central point of the city. No matter where you are staying, our restaurant won’t be hard to find. Right off the I-15, we’re easily accessible for when you start getting that craving. For the meat eaters, naturally we offer the most delectable pizzas with toppings from Italian sausage to meatballs to bacon. It can be hard finding delicious food that is accommodating to vegans, but we have you covered. From vegan cheese to vegan frozen yogurt, you won’t have to jeopardize your lifestyle to enjoy flavorful food. Because this is Las Vegas and everything is about the experience, you may be thinking that our pizza will empty your wallet. Not true! 18-inch pizzas are available for as low as $14.99, so you can enjoy the taste without breaking the bank. Next time you’re looking for a cheesy pie to satisfy your taste buds, come get the best pizza Las Vegas has to offer! Contact us at (702) 366-0049.